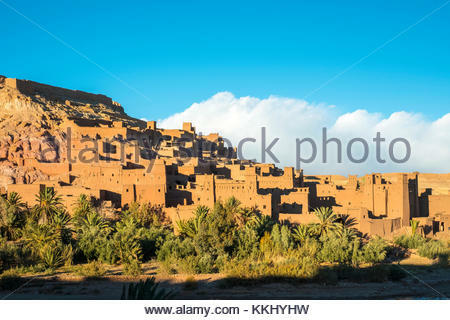 Morocco, Marrakech-Safi (Marrakesh-Tensift-El Haouz), Al Haouz Province. 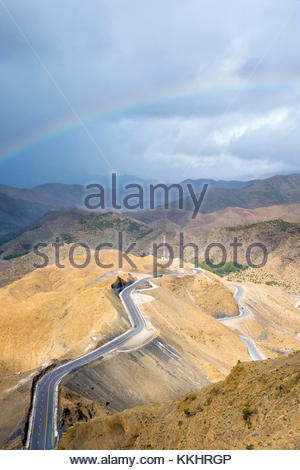 Rainbow over the Tizi N'Tichka pass in the Atlas Mountains. 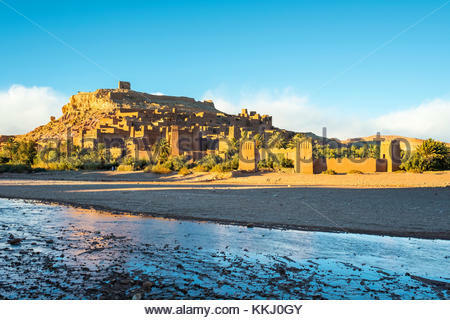 Morocco, Sous-Massa-Draa, Ouarzazate Province. 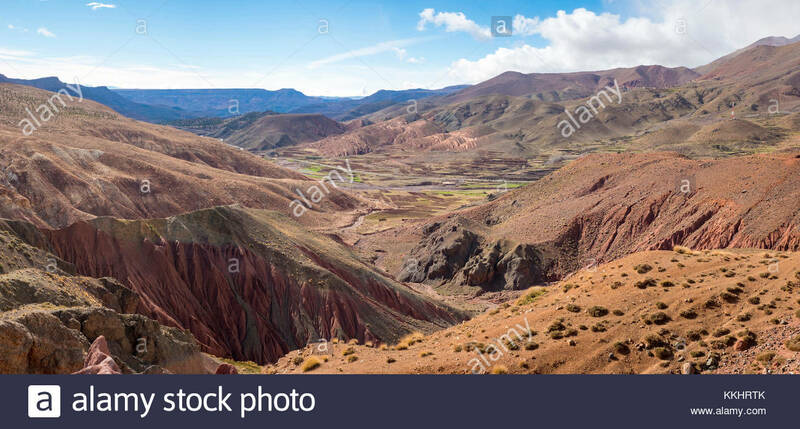 Dry rugged landscape in the Atlas Mountains. 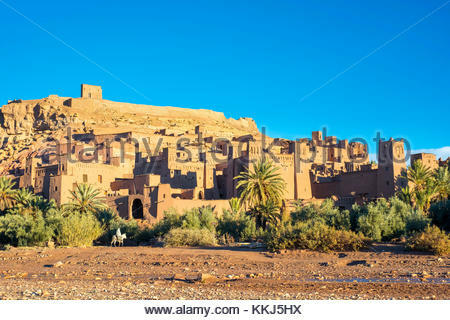 Morocco, Sous-Massa-Draa, Ouarzazate Province. 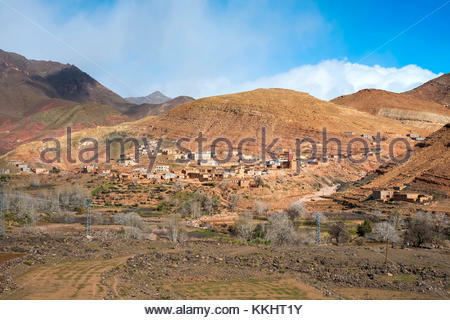 Small village of Tamesna, Ighrem N'Ougdal, Atlas Mountains. 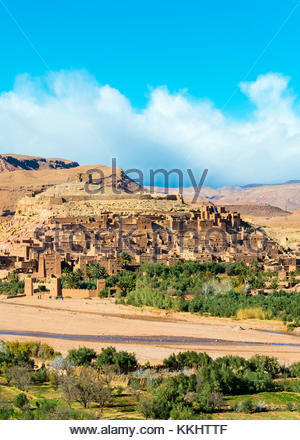 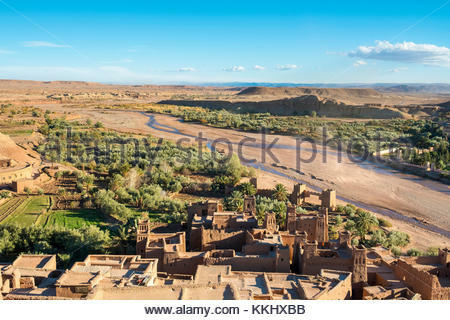 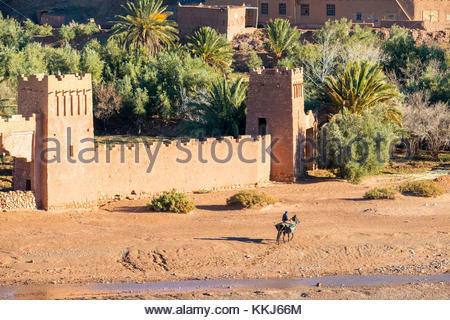 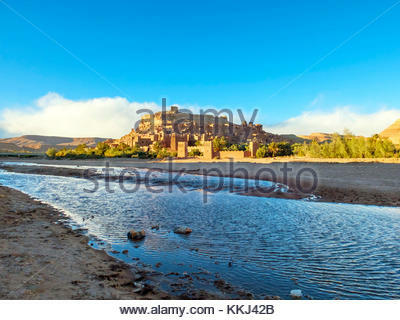 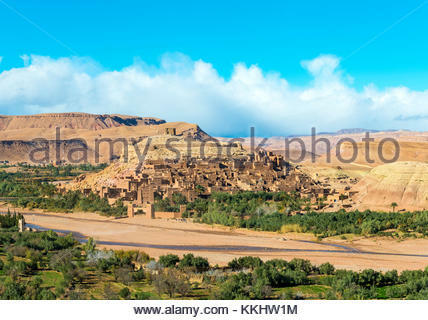 Morocco, Souss-Massa (Sous-Massa-Draa), Ouarzazate Province. 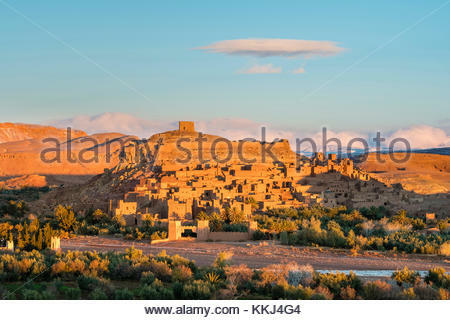 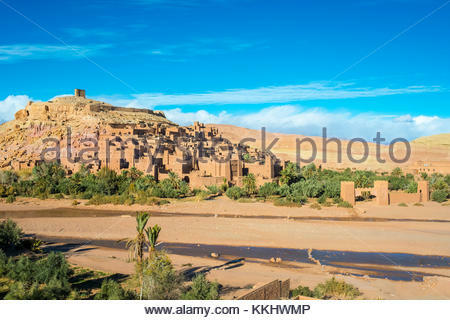 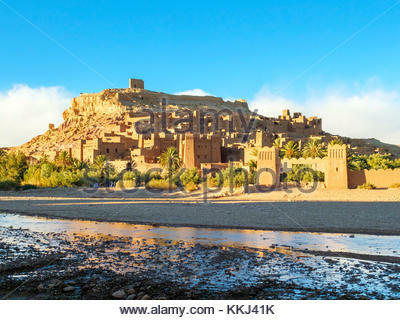 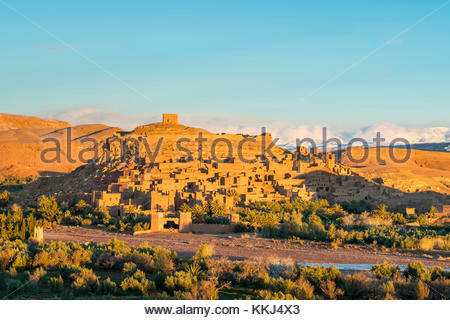 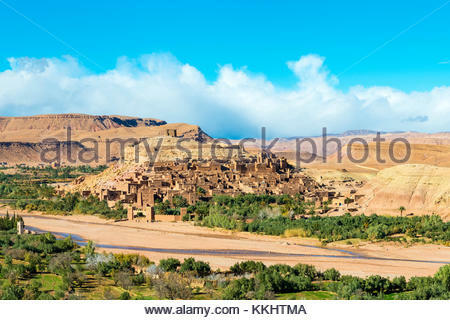 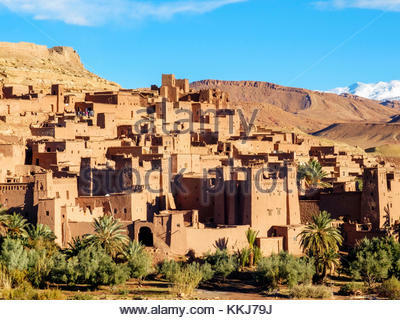 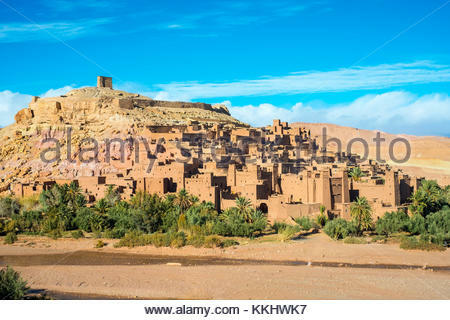 Mud Kasbah buildings at Ksar of Tamedakhte, modern town at rear. 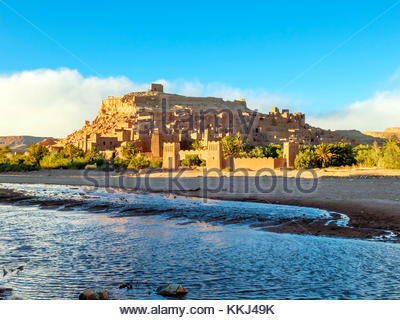 Morocco, Souss-Massa (Sous-Massa-Draa), Ouarzazate Province. 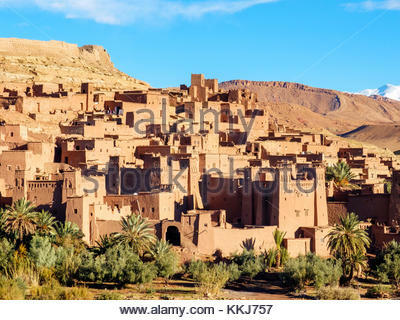 Mud Kasbah buildings at Ksar of Tamedakhte. 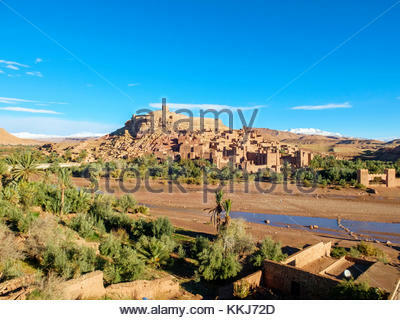 Morocco, Sous-Massa (Sous-Massa-Draa), Ouarzazate Province. 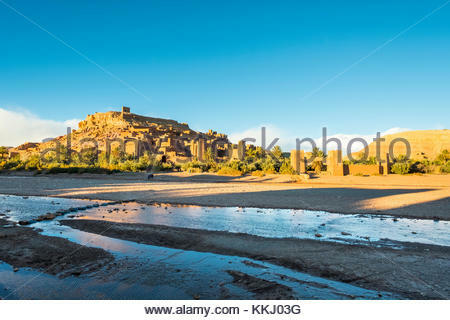 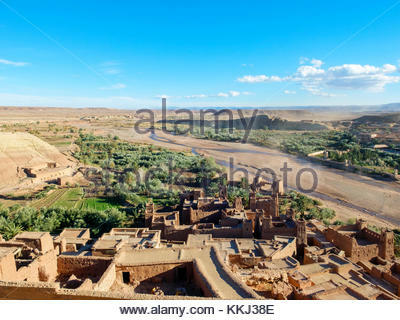 Ksar of Ait Ben Haddou (Ait Benhaddou). 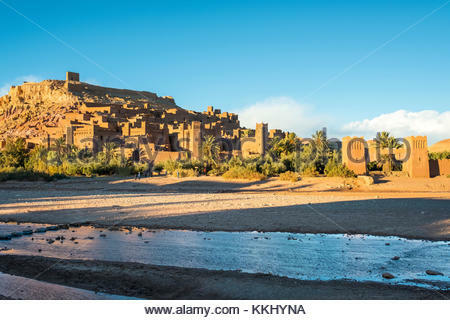 Morocco, Sous-Massa (Sous-Massa-Draa), Ouarzazate Province. 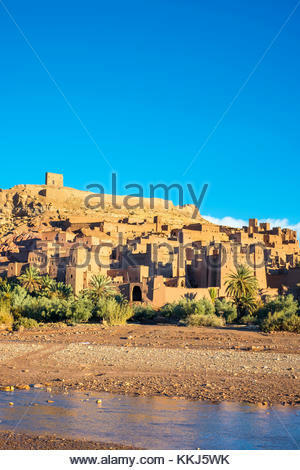 Traditional mud Kasbah building in the Ksar of Ait Ben Haddou (Ait Benhaddou). 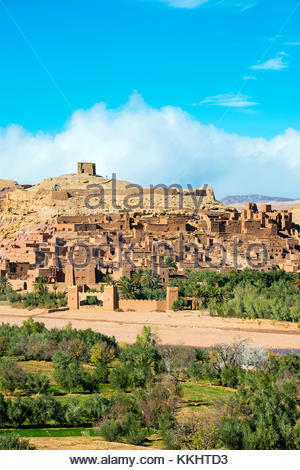 Morocco, Sous-Massa (Sous-Massa-Draa), Ouarzazate Province. 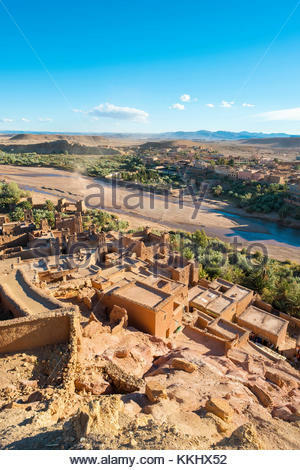 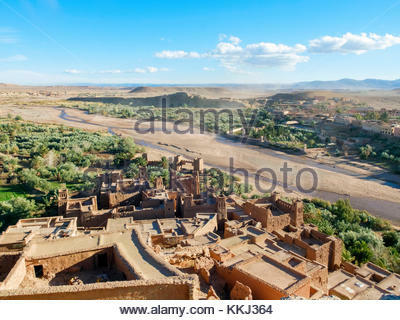 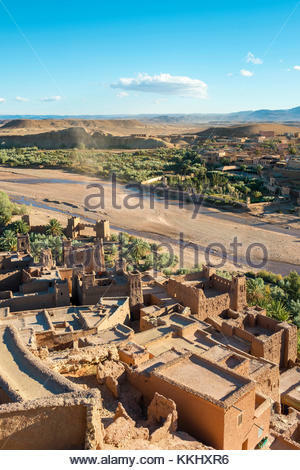 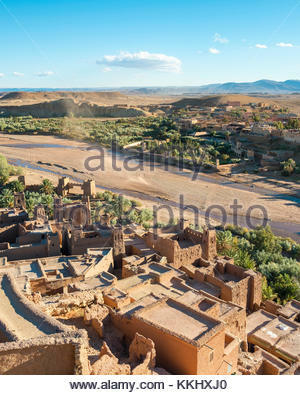 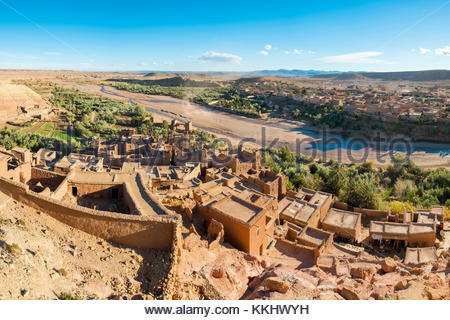 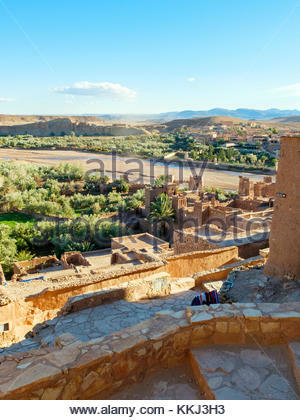 View from uppter village inside of Ksar of Ait Ben Haddou (Ait Benhaddou). 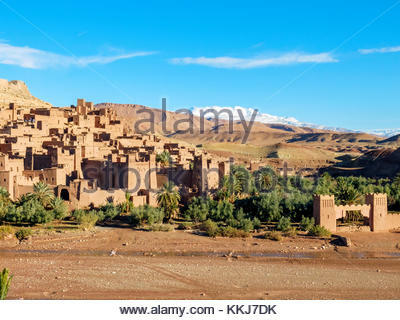 Morocco, Sous-Massa (Sous-Massa-Draa), Ouarzazate Province. 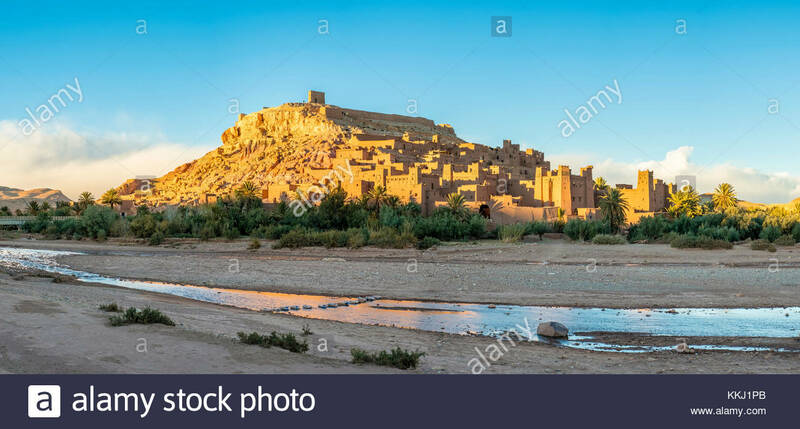 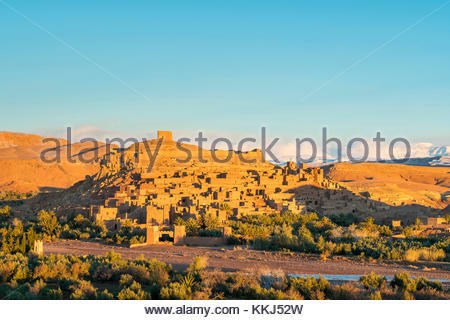 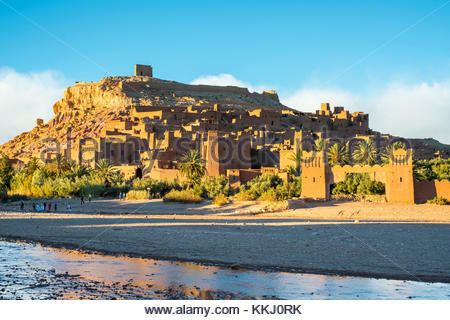 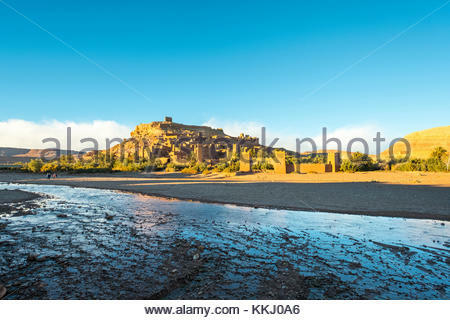 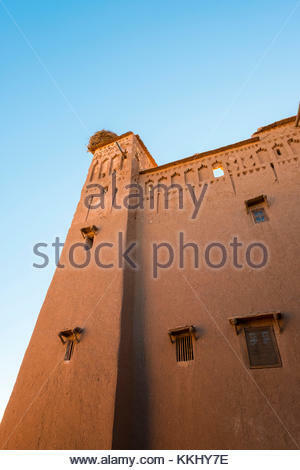 Ksar of Ait Ben Haddou (Ait Benhaddou) at sunrise. 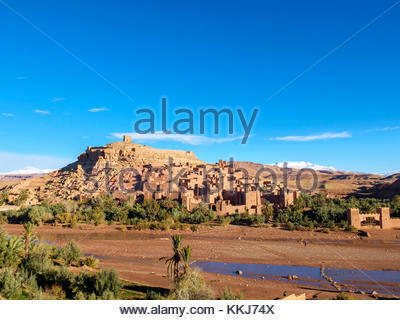 Morocco, SoussMassa (Sous-Massa-Draa), Ouarzazate Province. 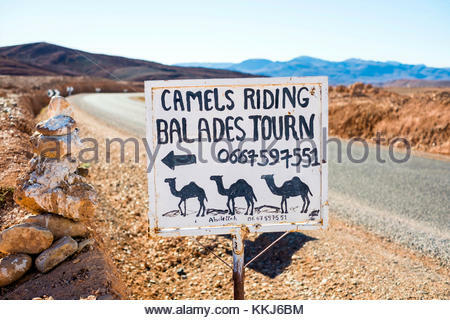 Hand-painted sign advertising camel riding in the Atlas Mountains. 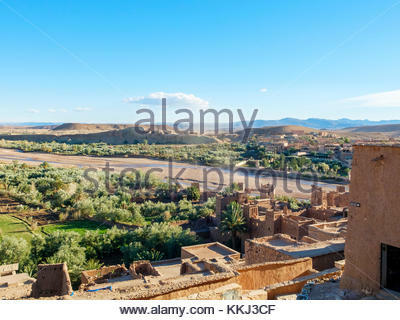 Morocco, Marrakech-Safi (Marrakesh-Tensift-El Haouz), Al Haouz Province. 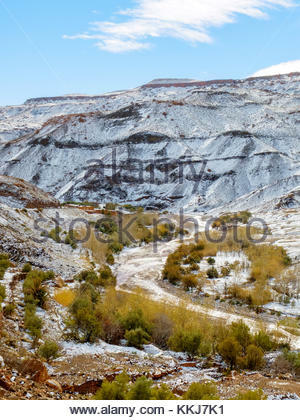 Tizi N'Tichka pass in the Atlas Mountains. 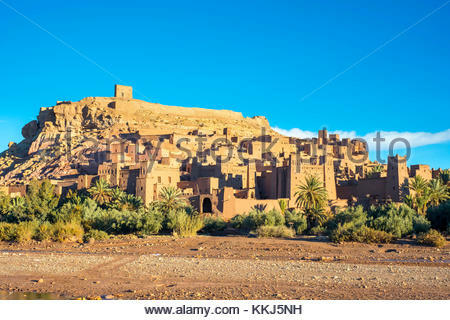 Morocco, SoussMassa (Sous-Massa-Draa), Ouarzazate Province. 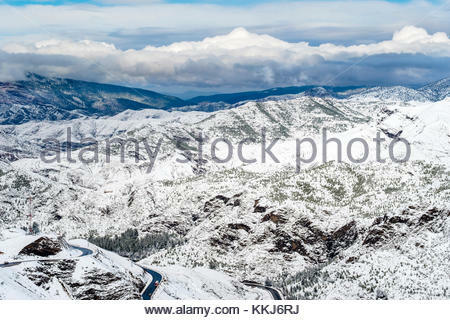 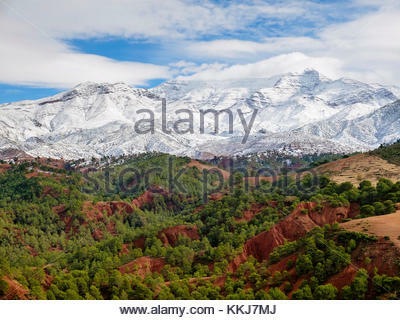 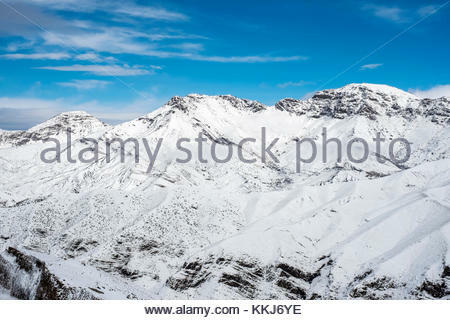 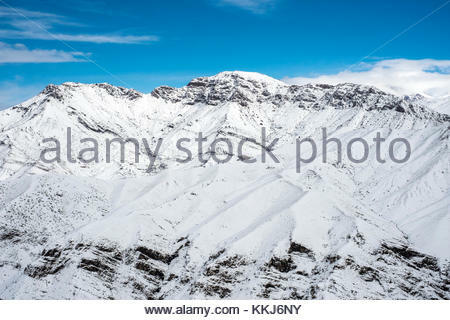 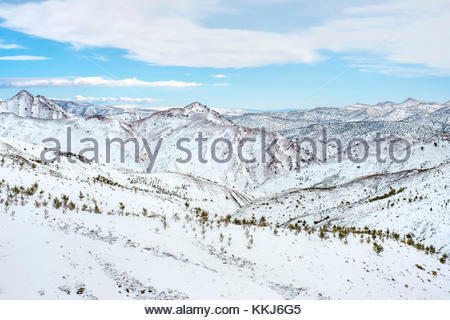 Atlas Mountains landscape during winter snow. 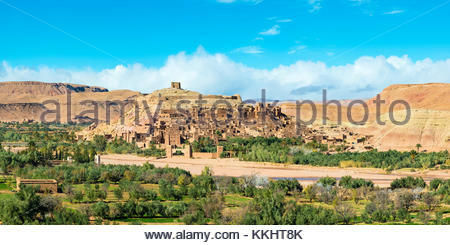 Morocco, Marrakech-Safi (Marrakesh-Tensift-El Haouz), Al Haouz Province. 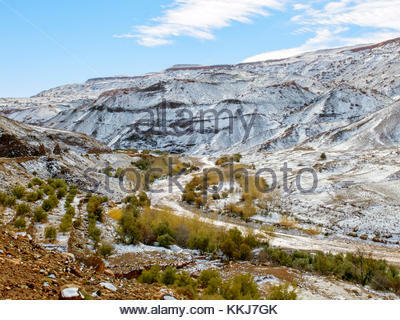 Tizi N'Tichka pass in the Atlas Mountains during wnter snow. 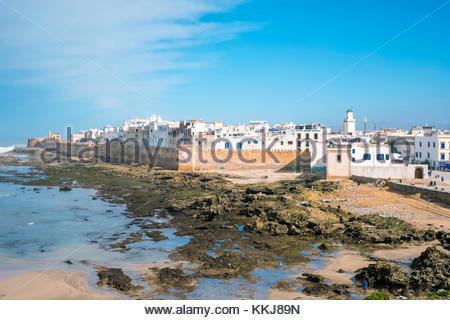 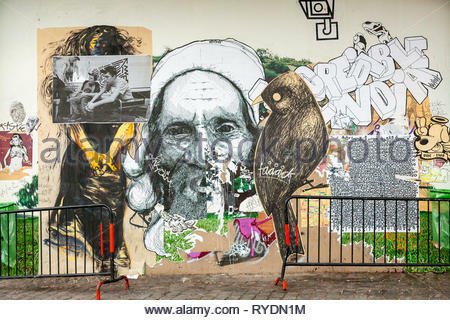 Morocco, Marrakesh-Safi (Marrakesh-Tensift-El Haouz) region, Essaouira. 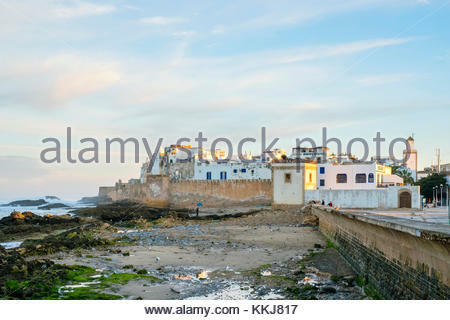 Skala du Port, 18th-century seafront ramparts on the fishing port at dusk. 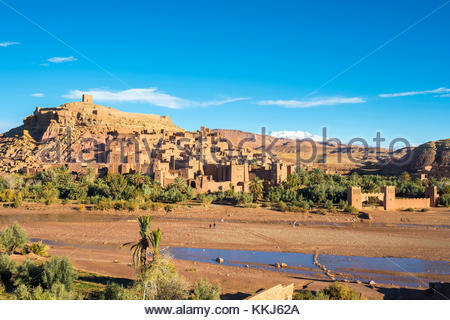 Morocco, SoussMassa (Sous-Massa-Draa), Ouarzazate Province. 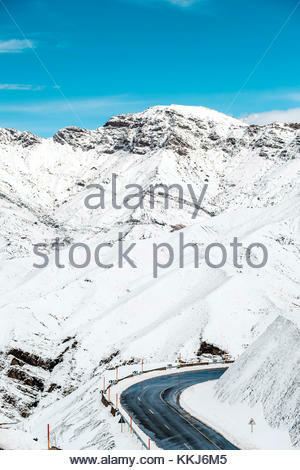 Atlas Mountains landscape after fresh snowfall. 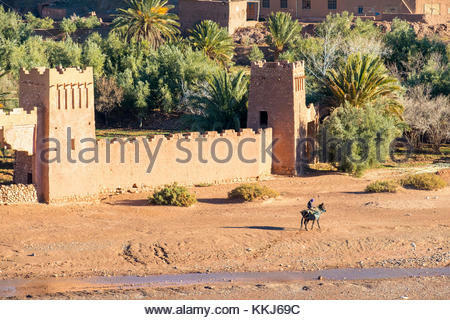 Morocco, Marrakech-Safi (Marrakesh-Tensift-El Haouz), Al Haouz Province. 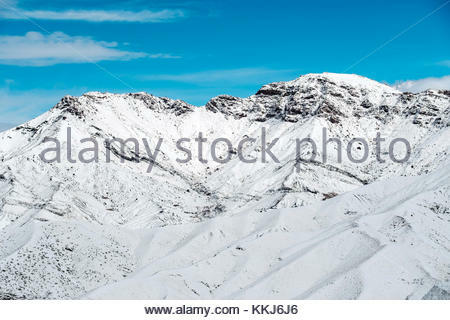 Tizi N'Tichka pass in the Atlas Mountains with snow on mountain peaks. 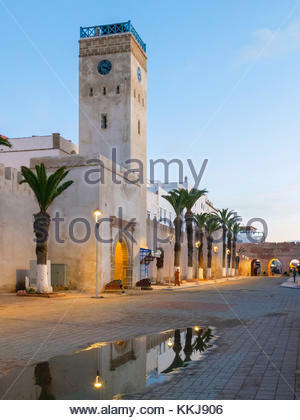 Morocco, Marrakesh-Safi (Marrakesh-Tensift-El Haouz) region, Essaouira. 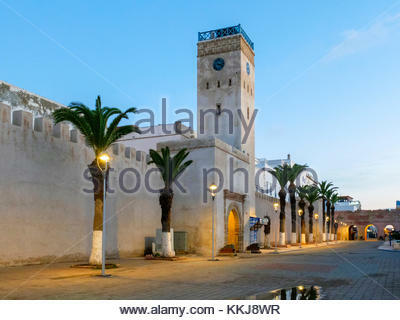 Place d'Horloge, clocktower and buildings in medina (old town). 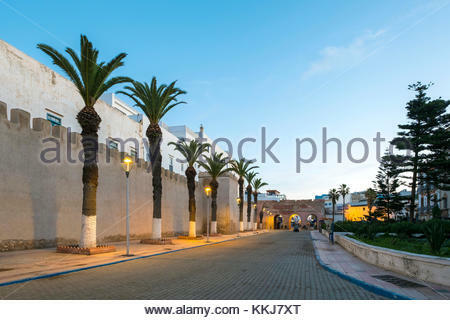 Morocco, Marrakesh-Safi (Marrakesh-Tensift-El Haouz) region, Essaouira. 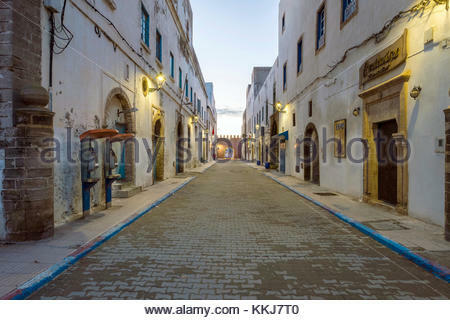 Empty street and buildings in medina old town at dawn. 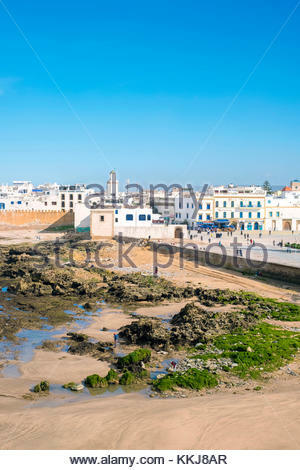 Morocco, Marrakesh-Safi (Marrakesh-Tensift-El Haouz) region, Essaouira. 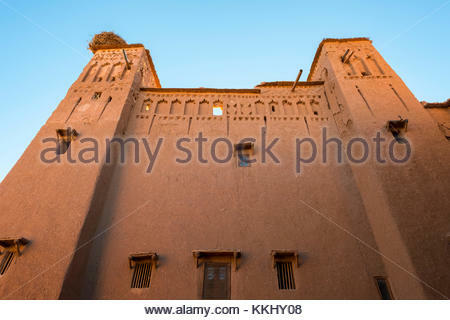 Old city walls and buildings in the medina old town at dawn. 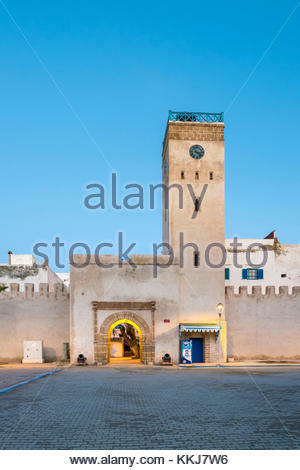 Morocco, Marrakesh-Safi (Marrakesh-Tensift-El Haouz) region, Essaouira. 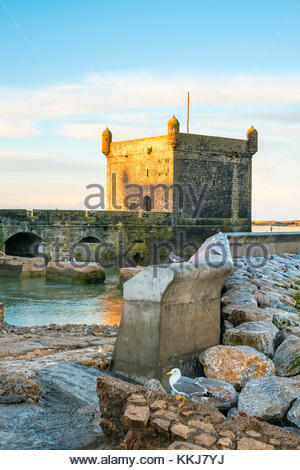 Skala du Port, 18th-century seafront ramparts on the fishing port. 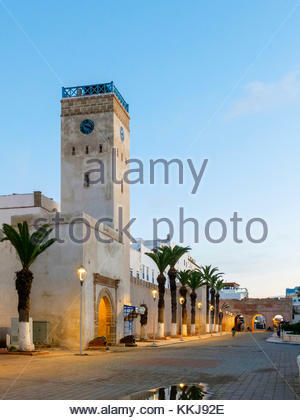 Morocco, Marrakesh-Safi (Marrakesh-Tensift-El Haouz) region, Essaouira. 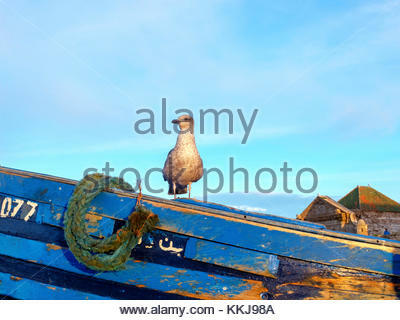 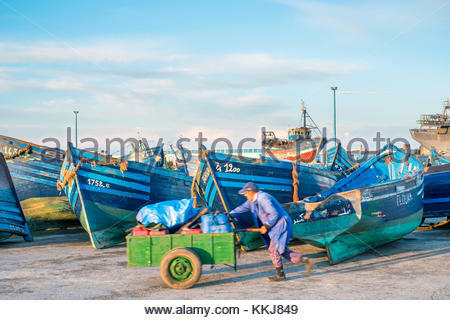 A man pushes a cart past fishing boats in the fishing port at dawn. 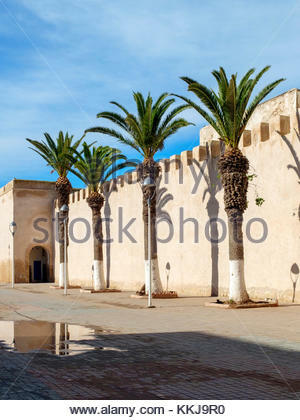 Morocco, Marrakesh-Safi (Marrakesh-Tensift-El Haouz) region, Essaouira. 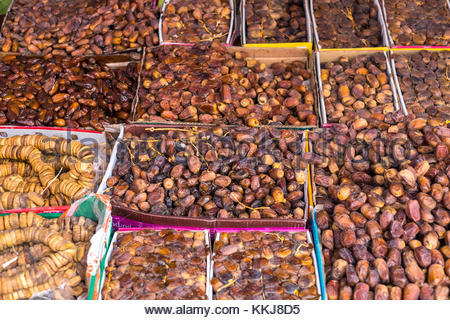 Dates for sale at the souks market on Avenue Mohamed Zerktouni in the medina. 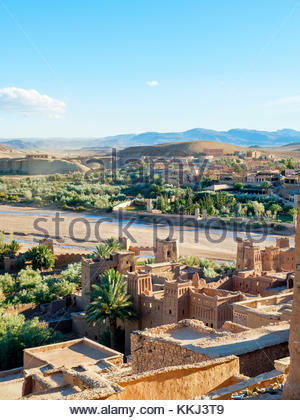 Morocco, Marrakech-Safi (Marrakesh-Tensift-El Haouz) region, Marrakesh. 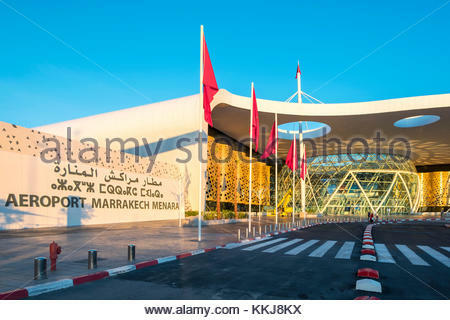 Terminal buildings at Marrakesh Menara Airport. 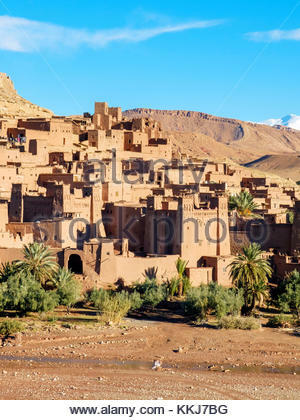 Morocco, Marrakech-Safi (Marrakesh-Tensift-El Haouz) region, Marrakesh. 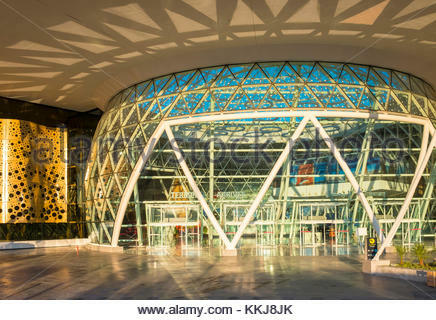 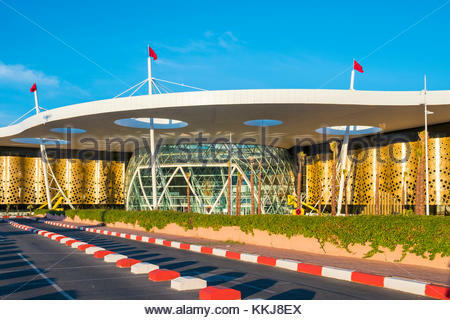 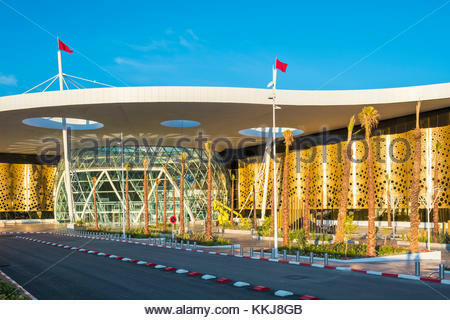 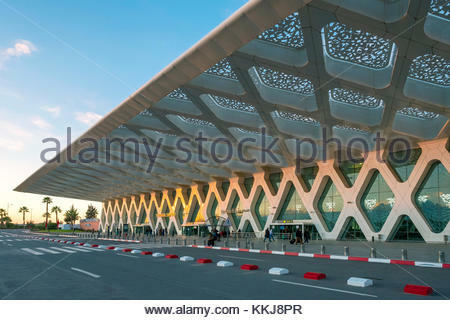 Terminal building at Marrakesh Menara Airport. 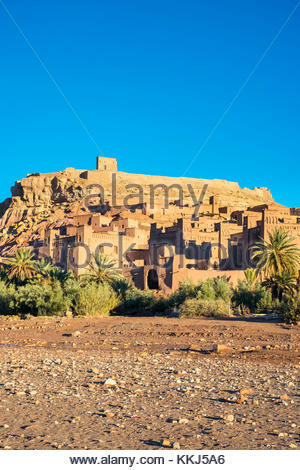 Morocco, Marrakesh-Safi (Marrakesh-Tensift-El Haouz) region, Essaouira. 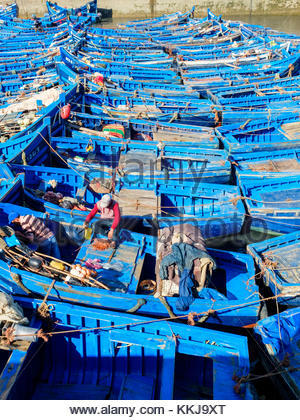 Fishing port at dawn. 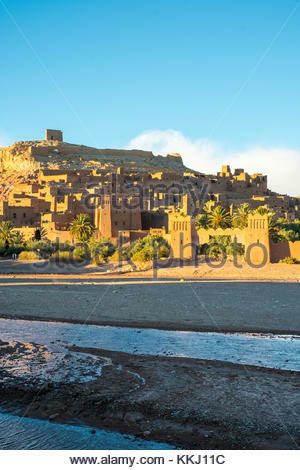 Morocco, Marrakesh-Safi (Marrakesh-Tensift-El Haouz) region, Essaouira. 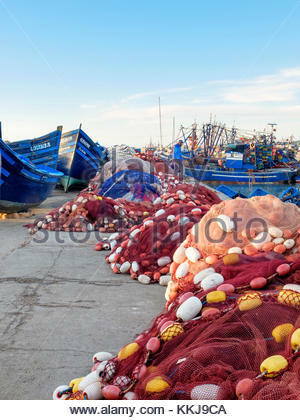 Fishing nets and boats in the fishing port. 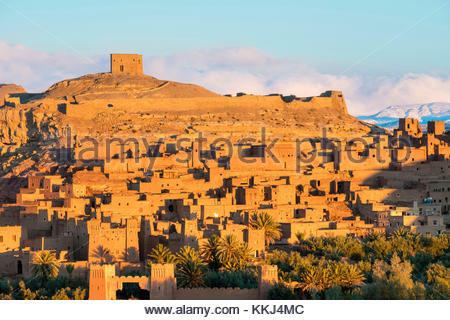 Morocco, Marrakesh-Safi (Marrakesh-Tensift-El Haouz) region, Essaouira. 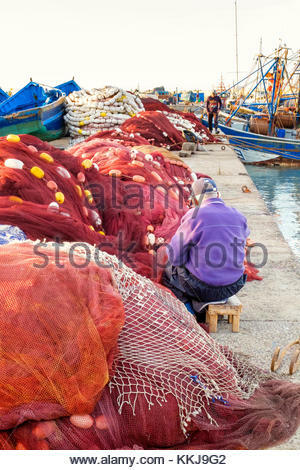 Old man repairing fishing nets in the fishing port. 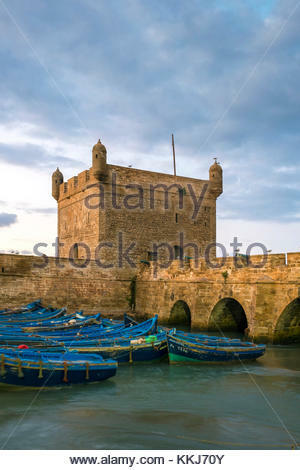 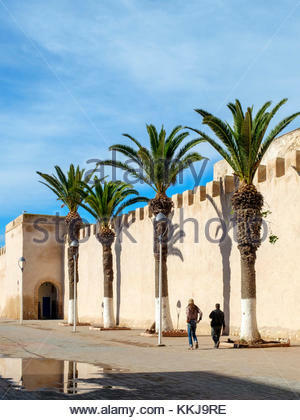 Morocco, Marrakesh-Safi (Marrakesh-Tensift-El Haouz) region, Essaouira.18th century city walls ramparts. 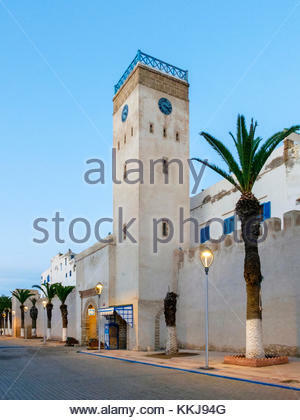 Morocco, Marrakesh-Safi (Marrakesh-Tensift-El Haouz) region, Essaouira. 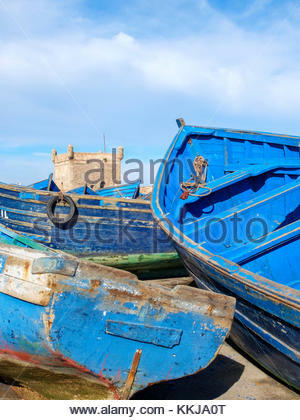 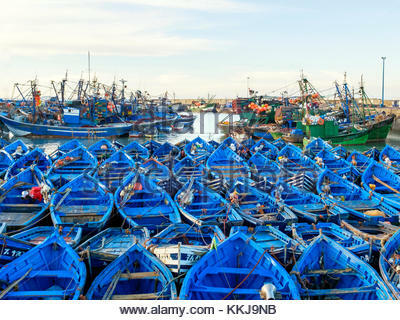 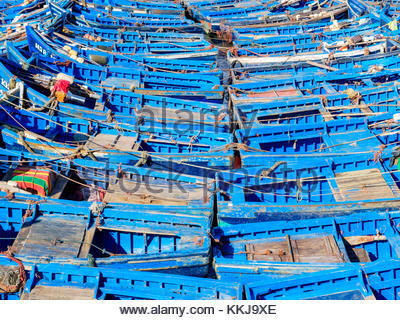 Boats in the fishing port. 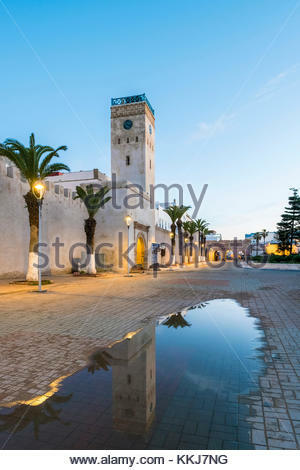 Morocco, Marrakesh-Safi (Marrakesh-Tensift-El Haouz) region, Essaouira. 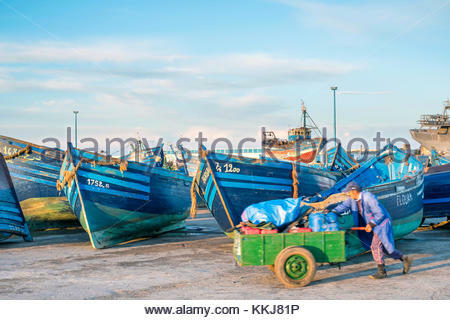 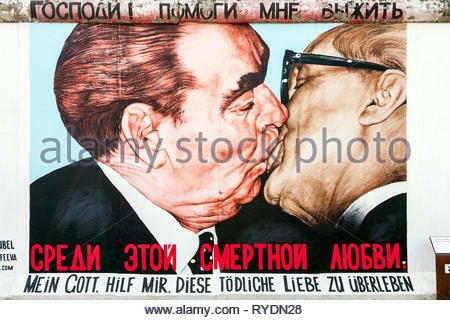 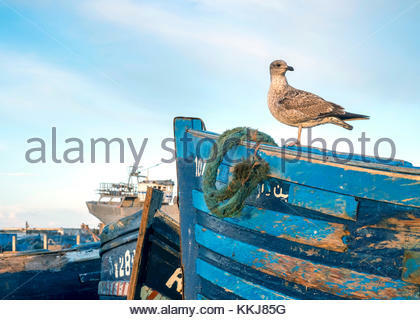 Two men on a boat in the fishing port.